I’ve had a little bit of an opportunity to play around with Internet Explorer 9, and I’m still not sure if I like it or hate it. I am excited about the possibility of natively using some CSS3 and HTML5 in Internet Explorer, but I’m also disappointed by the lack of specific CSS3 elements. On the plus side, IE9 does support almost all of the new CSS3 pseudo-classes (nth-child(), nth-of-type(), etc. ), 2D transforms, almost the entire background module (multiple background images, background-clip, background-size, etc. ), border-radius (rounded corners), box-shadow and RGBA colors. 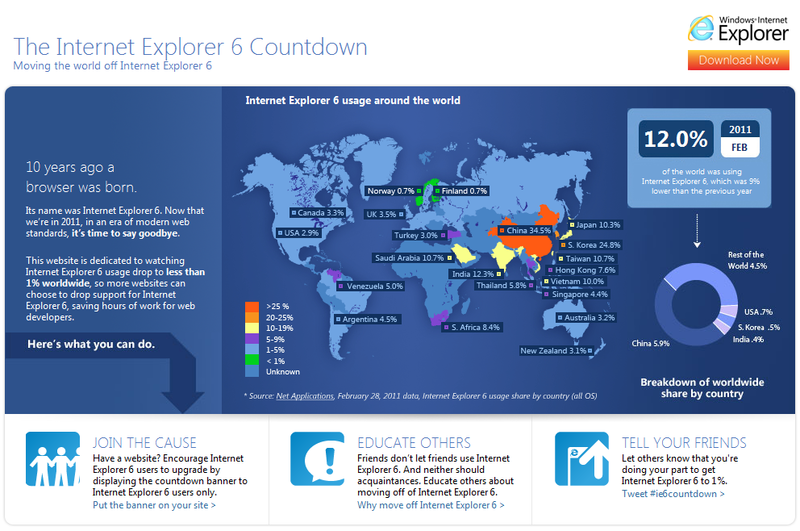 IE6 Usage Below 5% in the U.S. 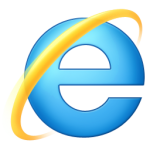 According to a new website Microsoft launched last week; currently only 2.9% of Internet users in the United States are using Internet Explorer 6. Worldwide, IE6 usage is still at 12.0%. However, only 10 of the 43 countries displayed on the chart have higher than 5% IE6 usage. Of those 10 countries, 8 are Asian nations. Can We Even Use CSS2, Yet? With all of this talk lately about CSS3 and how amazing the Web will be once it gains wide browser support, it got me thinking about how well CSS2 is supported. Sadly, there are still a lot of really cool features that were introduced in the CSS2 spec that we can’t use yet, thanks to the overwhelming market share held by Internet Explorer 6 and 7. In this article, I’ll take a quick look at some under-used CSS2 features and examine whether or not they are supported in IE7. One of the great new features coming with CSS3 is the ability to use native gradient backgrounds. In addition to saving server resources (no need to call an external image), the gradients tend to be more vibrant and faithful to the original colors than any external images. So far, none of the modern browsers have agreed on which method to use to implement the gradients, so you will need to utilize a few different methods in order to get it to work in multiple browsers. Today at the MIX10 Conference, Microsoft previewed Internet Explorer 9 to an apparently very receptive crowd. I watched along on Twitter as Molly Holzschlag live-tweeted from Dean Hachamovitch’s speech (the link only shows a small portion of the tweets she posted from his speech – this is also a really impressive tidbit from Molly). She seemed impressed by the demo of Internet Explorer 9, and, I have to admit, I was extremely impressed by the information she shared. At the end of the speech, it was announced that Internet Explorer 9 is already available for download. It’s obviously far from final, but it’s really cool to see that Microsoft is moving so quickly toward releasing new browsers and embracing the standards of the Web. Microsoft is referring to the available version as a “platform preview,” which is a creative way of referring to an alpha or beta release, I think. If you want to try Internet Explorer 9, you can download the “platform preview” from Microsoft’s Web site. Intuit has finally updated the Quickbooks Online application that many companies use to track employees’ time. 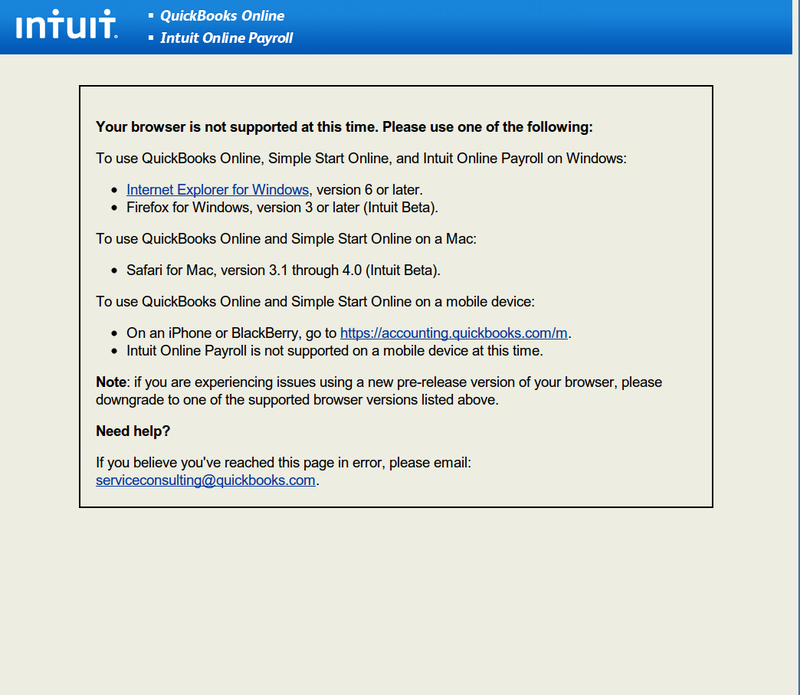 For many, many years, Quickbooks Online has been exclusively available to Internet Explorer users. As of this week, a new version is available that works in Mozilla Firefox on Windows and Safari on Mac. Unfortunately, Intuit automatically redirects to a message explaining that your browser and/or operating system are incompatible with the application if you try to use Chrome, Opera or Safari on Windows or if you try to use any browser on Linux (haven’t tested on Mac, but I’m assuming that it’s the same story if you try to use anything but Safari over there). What can possibly be available in Firefox on Windows and Safari on Mac that’s not also available in Chrome or Opera on Windows or any of the browsers in Linux? I’m assuming that they’re loading and utilizing the .NET framework in Firefox on Windows, but I can’t say for sure. If you have any insight into this matter, please share it with me.